Please don’t lick the walls in your room | Where to next? Poor John used to tell our daughters not to lick the poles at our coast house. It doesn’t seem such odd advice when you know the house verges on being a treehouse and the many poles that support the roof have been treated with arsenic. What always irked the girls was the fact that he thought to tell them this when they were teenagers—as if they might even consider licking the poles! But licking the walls is an issue for the salt hotels of Bolivia. 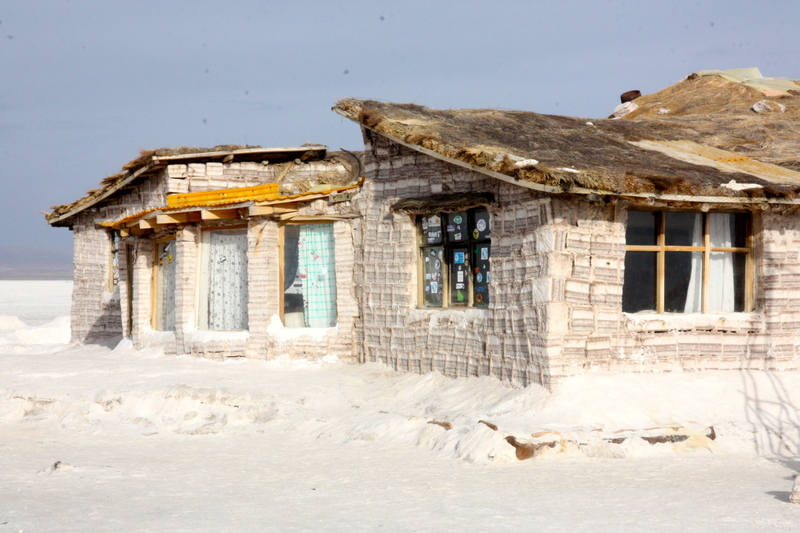 Salt hotels are scattered across the Salar de Uyuni. 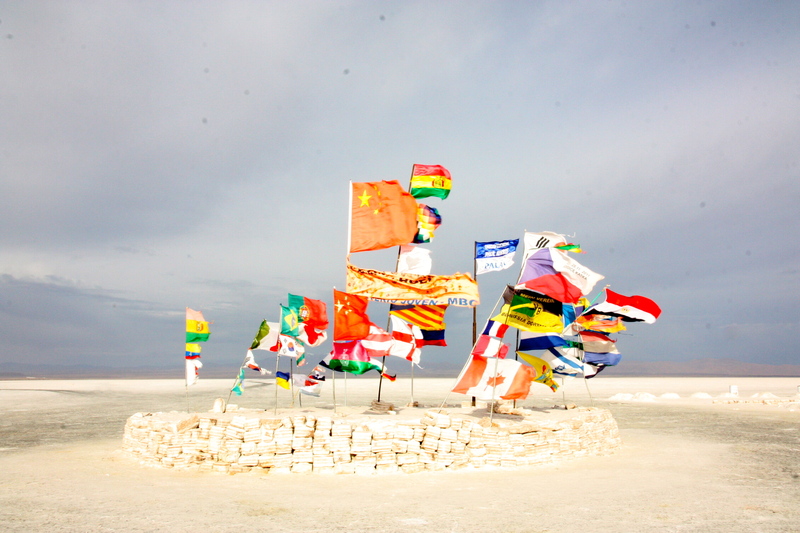 They cater for the tourists who come from all over the world to visit this expansive salt flat. So while the roof might be thatched, the walls and furniture, including beds, toilets and such, are made of salt—the only plentiful construction material around. It’s all held together with a sticky substance made of salt and water. At the end of the day and on our way out of the salt flat, we dropped in for a quick look around, and a quick pee for the desperate few who had to go and were willing to shell out the exorbitant asking price. During the rainy season, the walls are reinforced with still more blocks, making the hotel thick, warm and especially sound-proof. Great to hear from you! I can cope with paying for a pee if it actually pays someone to keep the place clean, but when they’re filthy and still want money—a big grrrrr from me. I must remember to do some funny photos next time I’m on an Aussie salt flat. Yes, that I can understand, a clean toilet, some of the places we used had never seen a cleaner, how hard is it to throw a bucket of water on the floor and swing a mop around ? You’re right! How hard is it? How extraordinary Peggy! The picture of the hotel foyer didn’t look like salt at all. It must be so interesting seeing all that salt used for everyday purposes. Keep having fun and collecting useful experiences. This blog is great! Obviously I’m a little biased but there’s bias everywhere. Take care and be good. ‘Hello’ to Poor John as well. The salt hotel really is incredible. Amazing how the salt can be compressed into blocks. Salt seats are hard, but they put cushions on them. Hello back from Poor John.